In home euthanasia provides a way for pets to pass with dignity and comfort in their own home. 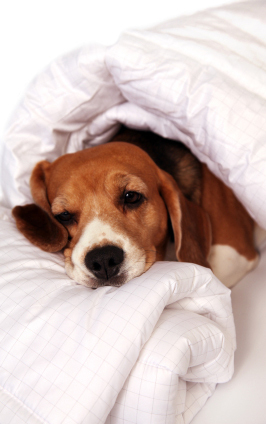 We try to make this process as painless and as comfortable for you and your beloved pet. Dr. Gizycki and her staff offer assistance with the entire ‘end of life’ process including: euthanasia and care of remains. There are 3 stages of home euthanasia: Sedation, euthanasia and care of remains. During sedation, Dr. Gizycki will administer a sedative which will help relax your pet and lead to a comfortable sleep within 15-30 minutes. Sedation is typically administered as an injection. Euthanasia follows after the sedative is administered. After the euthanasia, once the family is ready, it can be arranged for Dr. Gizycki and her staff to take the remains with them for private or communal cremation if you elect not to bury your pet at home. Please call our office at either (408) 927-8387) or 408-927-8307 and schedule an appointment. House calls are to be scheduled in advance.